So, let’s recall – in no particular order – the greatest sporting moments of 2018. As we’re focusing only on Australian successes, Tiger Woods’ comeback win at the Tour Championship, which the golfing world had seemingly been waiting for forever, and what might have been the greatest F1 title in Lewis Hamilton’s career, and anything else which was devoid of Australian athletes don’t make the cut. Still. They were pretty good to watch. In a year when the Socceroos were thoroughly uninspiring during the world’s biggest football tournament, the Matildas once again showed the blokes how it’s done. The highlight for Alen Stajic’s side was the demolition of Brazil in their first Tournament of Nations fixture. If the Matildas’ first goal was fortunate – and it was, with Brazilian defender Poliana lacing a header into her own net – and their second scrappy, the sealing third strike was a thing of beauty; a rapid counter-attack finished off by a rocket from inside the box by (who else but?) superstar forward Samantha Kerr. Truth be told, those opening two goals don’t reveal just how dominant Australia were. They bossed Brazil all over the park, racking up a fourth-straight win over the South Americans. The Matildas didn’t win the 2018 Tournament of Nations, the USA’s marginally better goal difference denying Australia of back-to-back titles, but that game against Brazil (and the subsequent two fixtures against America and Japan, for that matter) showed there are plenty of positive signs heading into what will be a massive 2019. The grand final might have been a controversial affair, but the 2017-18 A-League semi-final between Sydney FC and Melbourne Victory was a bona fide classic. Big Blues are rarely dour encounters, but this one had absolutely everything: five goals (including two in the wrong net), a last-minute equaliser, a bizarrely memorable celebration, an extra 30 minutes of football, and a superb, redemptive late winner to guide Melbourne into the series decider and send the Victory on their way to a record fourth A-League championship. Add in the tension which comes with knockout football and a bizarre sideline confrontation which saw two of Kevin Muscat’s assistants sent to the stands, and you have an absolute classic. We could re-watch this game for days. 2018 wasn’t great for the Australian men’s cricket team. 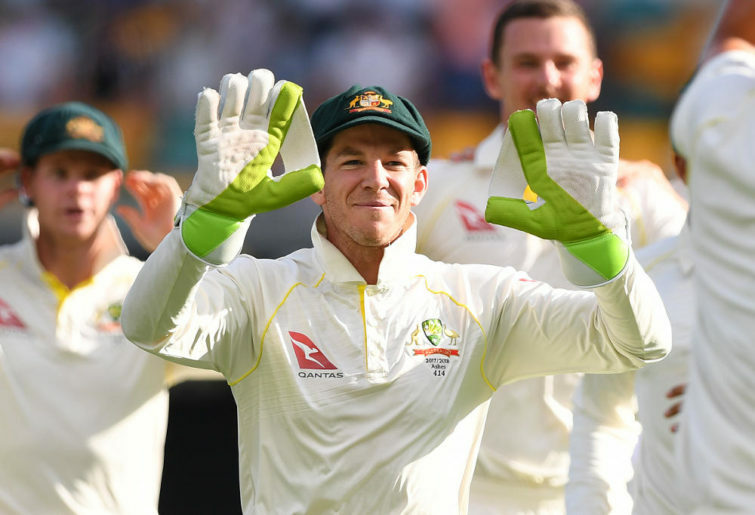 But it’s 2019 and with Tim Paine now at the helm, Australia now has a Test side all cricket fans can get behind. The recent Perth Test may go down as something of a watershed moment, a match when the team’s new identity came to the fore. By defeating a tremendously talented Indian side in a tough match on a tricky pitch, Paine and his team proved the notion that being hard cricketers is a prerequisite for success is nonsense. There was just good, tough cricket, and a thoroughly comprehensive win against the best Test nation in the world. Here was another case of the women upstaging the men in 2018. While the Australian men have struggled in the T20 arena over the past decade or so, their female counterparts have done anything but. The Southern Stars, as they’re now unofficially known, absolutely cruised to their fourth World T20 crown in the West Indies this year. 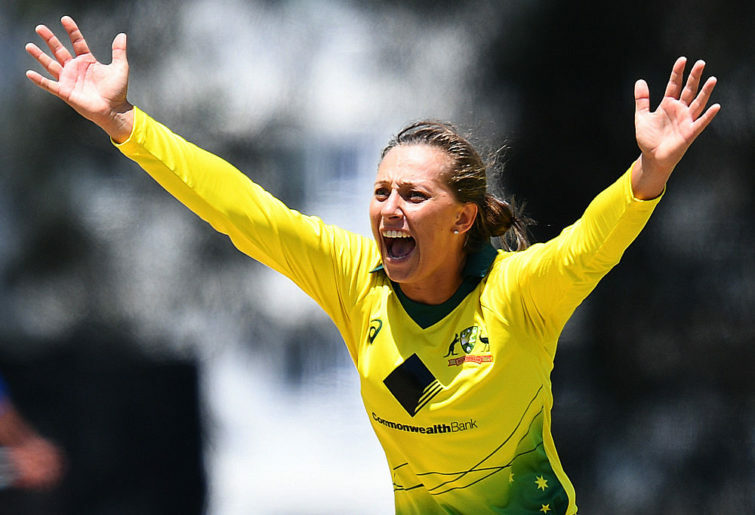 Alyssa Healy dominated with the bat with 225 runs at 56 (and a strike rate of 144), and three of the competition’s top four wicket-takers – Ash Gardner, Megan Schutt and Ellyse Perry) were Australian. A group-stage loss to India was the only slip-up of the tournament, but it came with Australia weakened at the top of the order, Healy forced from the match with concussion. But the manner in which Meg Lanning’s side cruised through their semi-final against the West Indies and final against England would have cast aside all memories of the match against India. The tournament decider, in particular, was never in doubt, with only two English batters (Danni Wyatt and Heather Knight) reaching double figures. Healy might have been the star of the tournament, but the final belonged to Gardner. She claimed three scalps – including both Wyatt and Knight – before blasting a brisk 33, complete with three sixes which would have made the onlooking Sir Vivian Richards proud. Did 2018 mark the start of a period of New South Welsh dominance, or was it just another false dawn a la 2014? We won’t know the answer to that question for some years yet, but there’s no doubt the Blues’ State of Origin victory was a memorable one. Brad Fittler came in and immediately shook things up, bringing in a host of new players, unscarred by years of series defeats. Safe to say it worked. Neither of their two wins were particularly comprehensive – Game 1 a come-from-behind affair in which the Blues scored the last three tries, Game 2 finishing with just four points between the two sides – but that was perhaps the most impressive part of the series victory. These were matches which New South Wales would have found a way to lose in years gone past. They would have wilted in the face of Queensland’s blistering Game 2 start, or lacked the composure to finish off the Game 1-sealing try after James Tedesco’s superb break. Now, with Billy Slater (get those leftover man of the match/series jokes in now, folks) joining messrs Cronk, Thurston and Smith in representative retirement, Greg Inglis not too far away himself, and Valentine Holmes headed Stateside to try his luck in the NFL, Queensland have lost the aura of invincibility which has followed them for the last decade. 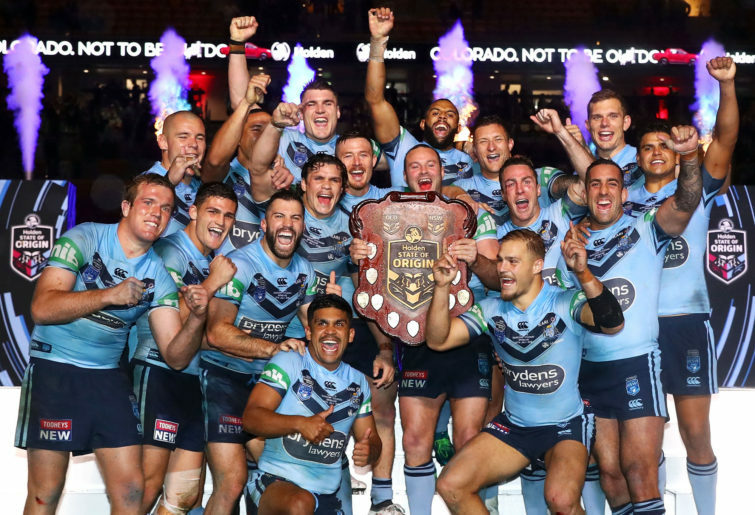 That’s not to say the Origin Shield is going to be painted blue for the next few years – the Maroons will never be anything but a formidable rugby league team. But New South Wales’ 2018 win was still one to remember. Time for an AFL moment. We’ve not had one yet, although there were plenty of highlights in 2018: Zach Tuohy’s after-the-siren winner against Melbourne, Alex Johnson’s return to footy – dampened though it was by his heartbreaking injury the following weekend – and the first Showdown of the year were all great, but, cliched though it is to opt for the grand final as the moment of the year, we can’t go past the decider. Billed as a grand final no one outside of the competing sides’ fanbases cared about (which is nonsense – ever met a neutral AFL fan who doesn’t enjoy seeing Collingwood lose? ), the Magpies and Eagles put on a match to remember, even though it looked just about over at quarter-time. 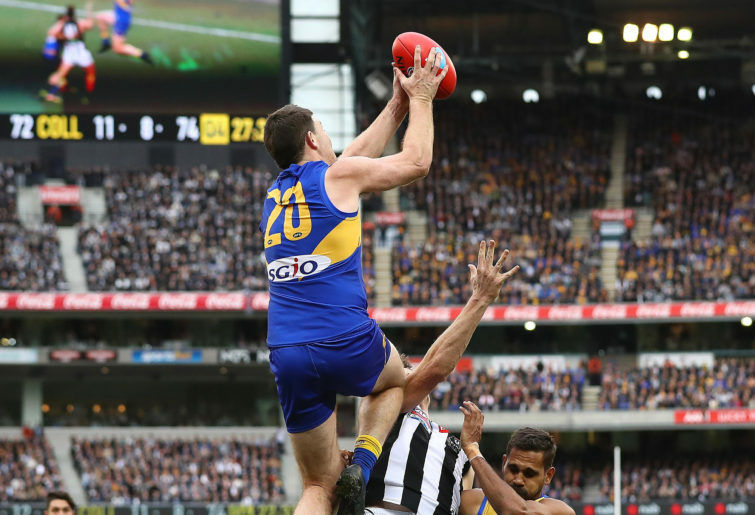 Thanks in no small part to a tremendous performance from Jeremy McGovern, West Coast managed to stem the Magpie tide, turning the game into a pulsating, see-sawing affair which, despite the intensity of the entire four quarters, will forever be defined by one moment. A superb McGovern mark in the back pocket led to another by Liam Ryan on the half-forward flank which led to a simpler yet more controversial one in the forward pocket to Dom Sheed, a man who some wouldn’t have had in the Eagles’ best 22 if everyone was fit and available. “The kick never looks like missing, his shot a video tutorial on how to kick a football perfectly, filmed in the last two minutes of a grand final. Remember when Usman Khawaja was just another Australian batsman who couldn’t play in Asia? It seems a fair while ago now, but mention ‘Asia’ and ‘Khawaja’ in the same sentence these days and all anyone will think of is the left-hander’s match-saving masterpiece in Dubai against Pakistan. It says something about 2018 that a match which ended in a draw could feature so prominently on this kind of a list. But even in any ordinary cricketing year, Khawaja’s knock would still go down as one of the finest individual performances in recent memory. Even during Australia’s recent dominant years, the subcontinent remained the unconquerable frontier of world cricket for the side. Steve Smith himself wasn’t able to guide Australia to a series win in Asia – despite going close in India last year – and the side which went on to inflict an Ashes whitewash on England and then win the World Cup were trounced when they last faced Pakistan in the UAE. Khawaja’s Dubai performance is therefore thoroughly deserving of any praise heaped upon it, and then some. Heading into the match, he was the recognised Australian batsman. Travis Head, Aaron Finch and Marnus Labuschagne were all on debut. Only Tim Paine joined Khawaja with a Test average in the 40s, but he was both the wicketkeeper and the captain. 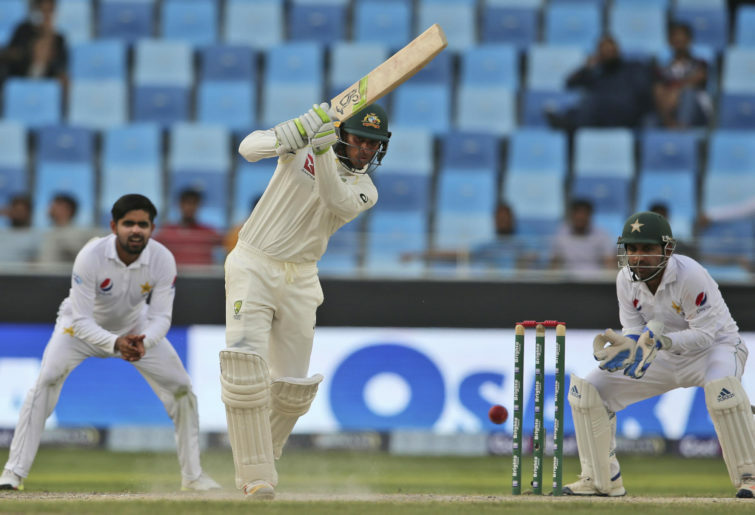 No, Khawaja was the key to Australia’s batting, yet he still exceeded all expectations, finishing the match with 226 runs, 141 of which came in the second innings, 463 balls faced and 766 minutes at the crease. Ultimately, set a target of 462 for victory with five sessions to survive on a tricky pitch, Australia should have been beaten in that match. Thanks to Khawaja, it ended all square. It’s the classic NRL grand final tale: star player gets hurt, star player keeps playing, star player leads team to grand final glory. But where John Sattler and Sam Burgess both suffered gruesome injuries during their victorious grand final performances, Cronk’s was inflicted a whole week before. So maybe it’s better to term this the classic grand final tale writ large. The fact that Cronk was able to play out the Roosters’ entire preliminary-final victory was incredible, when you consider the severity of his injury: a 15-centimetre fracture through his scapula. But to back up a week later, in the most important, most intense game of NRL of the year? That’s nothing but pure toughness, grit and determination. What’s more, Cronk still had a significant impact in both games, acting as a kind of battlefield general, directing his team from behind the front lines. Could it lead to teams in the future sticking athletically-limited players on the field purely for their footy know-how, employing them as some sort of on-field coach? It’s not the most out-there idea. 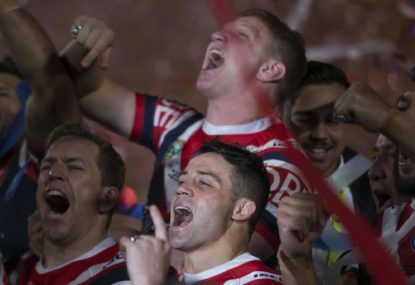 Of course, the Roosters wouldn’t have won the grand final without Luke Keary playing the game of his life, and if there’s one shame about Cronk’s performance it’s that it overshadowed Keary’s. But that’s just Keary’s luck – he happened to play his finest match when Cronk played his bravest. He’s still got a Clive Churchill medal around his neck and a premiership ring on his finger. Can’t imagine he’ll be complaining. You can re-watch all of these great sporting moments and more – including Tiger Woods’ comeback victory, Stephanie Gilmore’s record-equaling seventh world title, and Lewis Hamilton’s F1 championship win – over and over again with Kayo. Sign up now.